At the Los Angeles Auto Show yesterday the BMW i3 was named 2015 Green Car of the Year in a tight race against the diesel powered Audi A3 TDI, the Chevrolet Impala Bi-Fuel, the Honda Fit, and the VW Golf. The award has been presented by the Green Car Journal for the past ten years and this is the eleventh annual selection. 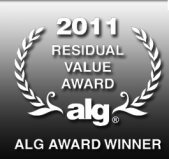 To be eligible for the award, car models must be all new or have significant model year changes. Automotive technology is constantly advancing and there are more enhancements than ever coming to your next vehicle. Nowhere is this more evident than in the number of automotive features exhibited at the annual Consumer Electronics Show (CES) in Las Vegas this week. The twelfth annual North American Concept Vehicle of the Year Award winners were announced earlier this week. The awards recognize concept vehicles most likely to affect change in the automobile industry. The selection process involved a total of 23 vehicles that were previously introduced to North America during this season's (2012-2013) auto shows in Los Angeles, Detroit, Chicago, Toronto, and New York. More than two dozen jurors collectively selected the winners in three categories: Production Preview Vehicles, Concept Cars, and Concept Trucks. In every industry, perception and what we think of specific companies, brands and logos goes a long way in contributing to our purchase decisions. When it comes to buying a new car or truck, this brand awareness and perception goes a long way in how we research our vehicle purchases and ultimately in the vehicle we choose to buy. TrueCar.com recently put out its TrueTrends Auto Industry Intelligence report for the month of June and the information, once again, paints a great picture for consumers in the market to buy a new car. The manufacturers are continuing to put solid incentives and rebates out, hoping to entice consumers off of the sidelines. And with June the kickoff of the bread and butter months for car dealers, they are willing to bend a bit to sell a car or two. So what is TrueCar telling us and how can it help you get a new car? In an article recently published by Forbes Magazine, the publishers identify the automotive brands that Americans think are the best. This is not a list made up of the best selling cars in America, as that would be populated by Chevrolets, Toyotas and Fords. In a world where image really is everything, consumer opinion can make or break a brand. 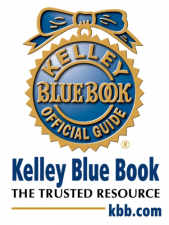 Recognizing that, Kelley Blue Book – a longtime industry leader in automotive research and information – has just released its annual Brand Image Awards for 2011. The awards, which are based on detailed data from KBB Market Intelligence’s Brand Watch study and are derived from an online study of more than 12,000 in market auto shoppers, recognize the best of the best in 10 categories. These different categories leave no market uncovered. 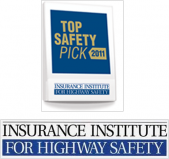 Car and Driver, one of the leading automotive publications dedicated to enthusiasts and auto reviews, recently announced their 10Best Cars for 2011. The full coverage of their 10Best selections can be found in the January magazine edition and on their website, CarandDriver.com. As you evaluate different makes and models during your auto buying research process, one of the helpful factors involved in your decision should be the evaluation of a auto's resale value. This can help ensure you get the most for your money, and if you ever decide to sell or trade-in your auto, that you get a good return for your next purchase.